Frédéric Raimbault, Partner of Steering Angers, wrote the article Nominative data: anticipate the measures to be taken to comply with the RGPD at May 28, 2018, published in Le Cercle des Echos, February 28, 2018. Professor Mathias Audit, a Steering Partner in Paris, was auditioned by the Commission of Inquiry into State Decisions on Industrial Policy, notably in the cases of Alstom, Alcatel and STX. 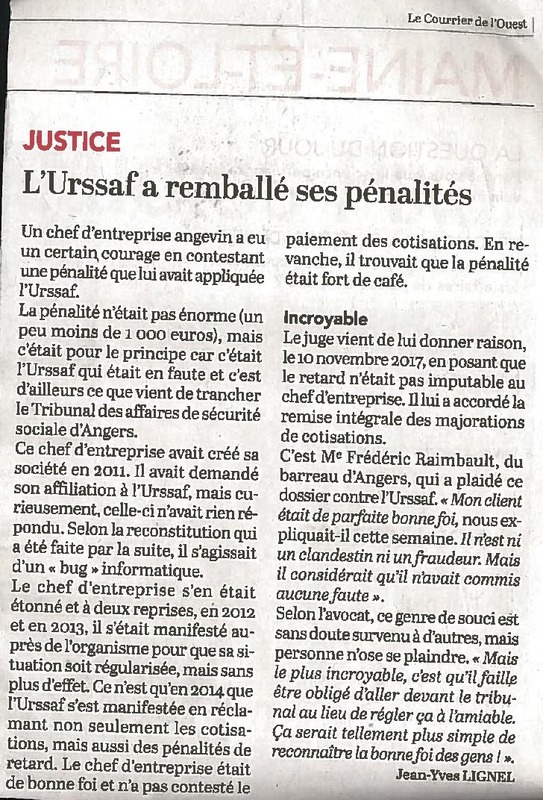 Frédéric Raimbault, a Steering Partner in Angers, won his case in a case opposing his client to the URSSAF. Steering Legal (Nicolas Hallais, Olivier Guinard, Partners et Alice Bellilchi, Counsel) assisted the management and the managers of the SITOUR / Store Novation group as part of an LBO alongside Céréa Partenaire. Professor Mathias Audit, Partner of Steering Paris, will participate in the Workshop – Presentation and public comments on the ICCA QMUL Task Force Draft Report on Third Party Funding, in Sorbonne Law School – Université Paris 1 Panthéon-Sorbonne, on 6 November 2017. On January 1st 2018, the United Arab Emirates (UAE), along with all the countries in the GULF COOPERATION COUNCIL (GCC), will introduce value-added tax (VAT) at a rate of 5%. This VAT will apply, except in the case of exceptions, to all local and imported goods and services. 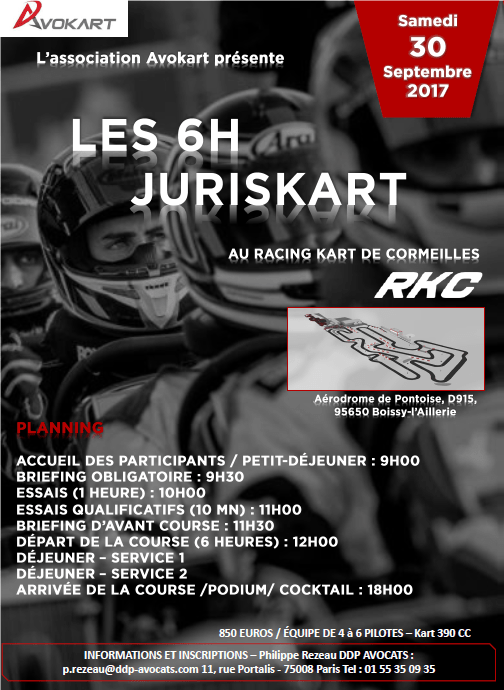 Steering Legal sponsors the 6H Juriskart, which will be held on 30 September 2017 at the Racing Kart in Cormeilles. Adrien Matillon and Pierre Wattenne will be the drivers of our team. 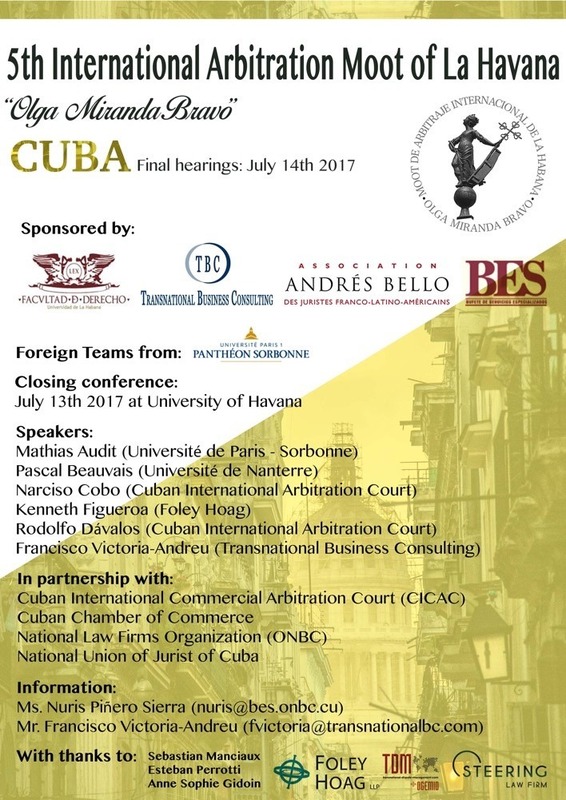 Professor Mathias Audit, Partner of Steering Paris, will participate in the 5th International Arbitration Moot, in La Havana on 13rd et 14th July 2017. Steering will be present at the Salon de l’Expatriation (Expatriation Fair) on 30th and 31st May 2017 at the Cité de la Mode et du Design. Steering Legal (Olivier Guinard, partner, and Alice Bellilchi and Camille Baux-Valerdi, associates) assisted the Emeraude Cottage holding company in its acquisition of SCI Emeraude, owner of a plot of land almost 10,000 square metres in size in Saint Briac sur Mer. Professor Mathias Audit, Partner of Steering Paris, will participate in the third conference organised by the CNUDCI on Euro-Mediterranean arbitration, in Milan on 18 janvier 2017. Professor Mathias Audit, a Steering Partner in Paris, wrote the article Normes extraterritoriales et arbitrage international : les conclusions du groupe de travail, which appeared in Echanges internationaux, the magazine of the French committee of the international Chamber of commerce, on January 2017.